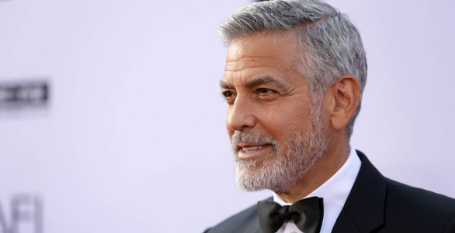 Clooney penned an op-ed about his decision and as they say, 'money talks’. It’s great to see this support from George Clooney against this horrific Sharia Penal Code development in Brunei. We all have an opportunity to protest against such heinous policies with the dollars we spend or invest. The LGBT consumer spending power in Asia alone is estimated to be around US$1.3 trillion a year (source: LGBT Capital (2018)). Let’s make sure we don’t spend it supporting countries or people who would commit such ungodly crimes against our Brothers and Sisters. You go George!!! I truly wish more powerful celebrities would add their names to the list of support against these evil and vile governments/individuals that perform audacious and caustic crimes against people that aren't heterosexual. I would only hope that someday these very governments and individuals will face accountability for their crimes against humanity. Boycott Brunei and any country that supports or has anything to do with this stupid and criminal ideology called Sharia Penal Code. Down with evil people!!!! Not sure you should be blaming people for being evil happy. It should be more like "down with" religion! That's where the evil begins and flows from. What a sad world we’ Living in. The massacre in Christchurch was an act of hatred towards Muslim by a deranged White supremacist and here we are having a Muslim country implementing Sharia law to kill gay people because they are different. Where are love or tolerance?